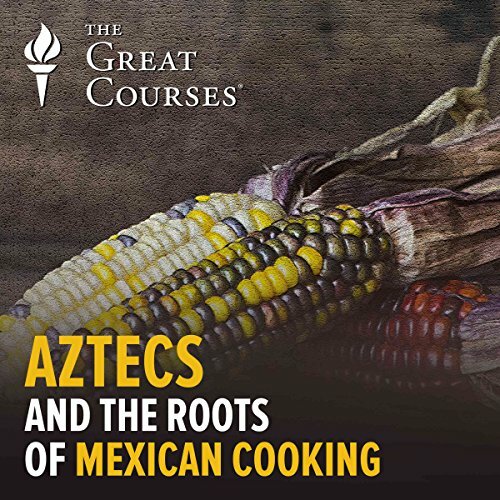 Contemporary with the European Renaissance, Aztec culture produced a unique food tradition that survives today in Mexican cuisine. Learn first about Aztec society, its indigenous foodstuffs, and distinctive diet. Also study descriptions of lavish Aztec banquets; “signature” foods, from avocados, beans, and chilies to chocolate and maize; and the Aztec philosophy of balance and moderation in eating. It was great while it lasted, it was just way too short, left me wanting more. It was a very interesting piece to listen to. I learned some history and how it tied to food we eat today.